Could a Private Cloud Be Right for Your CPA Firm? The modern IT infrastructure has grown more complicated just from the sheer volume of choices available to the modern accounting firm. The majority of CPAs have adapted to cloud computing models and are applying these models in new ways to shift old school business structures to accommodate these new workflows. But some accountants are still expressing reluctance to move to the cloud. They suggest that the public cloud is too open to security issues that cannot be addressed when you share servers with a number of other businesses. For these organizations, a private cloud may be an option to consider. It affords the same scalability and self-service options as the public cloud, but your storage and access are devoted solely to your business model. This post explores the different cloud models and when a private cloud option could be the right choice for CPAs. Get a free assessment and find out which is better for your firm: public or private cloud? Public versus Private Cloud – Which is Better for Your Firm? Hosting your services in the public cloud means that an Internet service provider (ISP) such as Amazon Web Services shares a computing architecture across multiple non-related businesses or users. A private cloud takes a portion of data storage and carves it out exclusively for your business. There is a single tenant in this infrastructure, and these cloud services are typically managed by an external IT team. Mission-critical data housed in applications. Robust applications that require a larger storage infrastructure. Compliance requirements that preclude them from using the public cloud. Instances where service availability is mandatory. While it’s true that private cloud models would be overkill for the average accounting firm, hybrid models that incorporate a little bit of the best of private and public models, are also available. Pro’s of the private cloud include the ability to customize services, workflows, integrations, and security. You can control when application updates occur. Your IT managed service team can control what and how data passes through the pipe. You can integrate with applications and software in very tailored ways. The private cloud offers all of the same benefits of the public cloud, with none of the drawbacks. 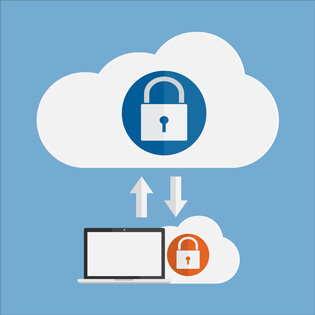 However, most CPAs choose the private cloud for the added security it provides. Con’s of the private cloud include the price point; these customized integrations can be pricey. However, these models are never as expensive as on-premise hardware. It also may be more difficult to access the private cloud from remote locations due to increased security measures. Intuit tells us that by 2020, more than 80% of even the smallest firms, will have migrated all or part of their services to the cloud. It’s clear that cloud computing provides a variety of benefits, including access to data, flexibility and scalability, lower cost, and much more. How you connect to the data, where it is stored, and who manages it are concerns the average CPA firm must address. TOSS C3 can help. Request a quote on private cloud services today!